Broadband video content is opening a new window for creative multimedia and gives consumers new forms of digital media on demand. The BBC ran testing in Hull on the Kingston Interactive platform and then ran a 'Local TV' IPTV and Sky Digital pilot based in Birmingham. 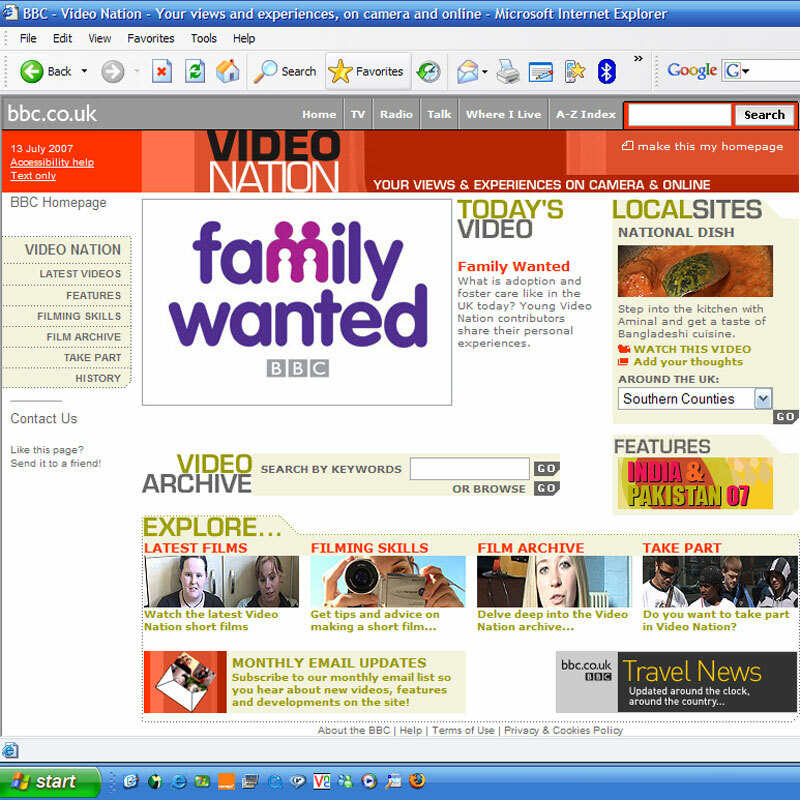 English Regions New Media also runs Video Nation which we took on from BBC2 and turned into a local proposition on the Where I live platform. 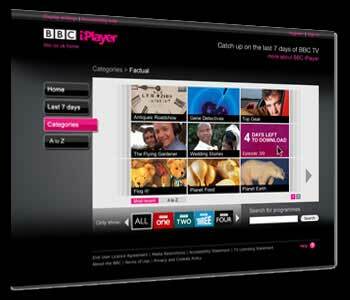 Soon members of the public will be able to download programs on-demand on the BBC iplayer due for launch on the 27 July 2007. I have been on the beta test group for this platform and have seen it develop over the last few months into something which could potentially change the the grammar and style of program making. available on the web. This was an idea i pitched to the controller a couple of years back and now users can watch regional news output in bite size chunks. There are more opportunities in this area i feel for new forms of traditional content. We have also started editing using network material online for projects such as Coast, How We Built Britain and Saving Planet Earth. I feel there are opportunities to do something new here. Old media on the web is old news, new media on the web is the future with the right ideas. There are clearly some fabulous opportunities for IPTV. This year Ihave seen presentations from Iolo Jones from Narrowstep and a few weeks back Isaw a demo and presentation from the CEO of Cycling.TV. Revenue streams are seemingly dependent on looking for ways to monetise the content. Subscriptions and advertising are two ways to bring in revenue, but their are other opportunities here I feel. Clearly there is an opportunity with ITV to introduce elements of interactivity and I feel that this is a big opportunity for this technology. Mobile distribution of content over 3G and localised bluecasting/wi-fi provide new ways to reach users. The BBC is piloting delivery of digital TV over 3G at the moment. If user costs for faster mobile platforms change as they did with broadband a few years back then there are fantastic commercial opportunities for businesses to reach customers in new ways with new content. The public can get involved too via SMS and MMS. British Grand Prix - Multimedia tour of Silverstone. TT - Interative guide of TT circuit. Video Nation - Technical support for Video nation. Support for local TV - technical support for pilot. London tour bus - Multimedia tour of London 360 stills and video. Encoding of real media - use of windows media encoder and helix producer. Tour de France - mobile tracking and remote content creation from event. Brighton Festival - mobile reviews and content from public. Godiva festival - Polecam, MMS and SMS image submission.